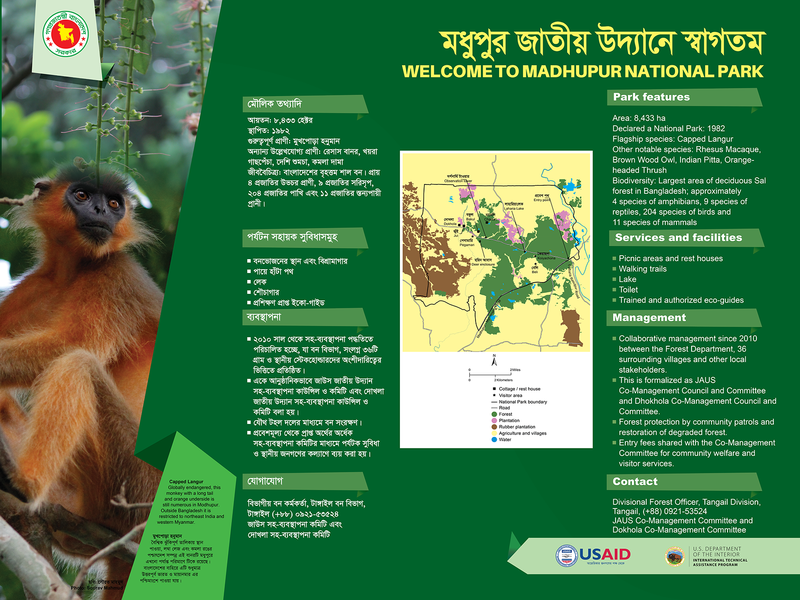 Madhupur National Park (MNP) is situated on Dhaka-Mymenshing Road, 125 km North of Dhaka. 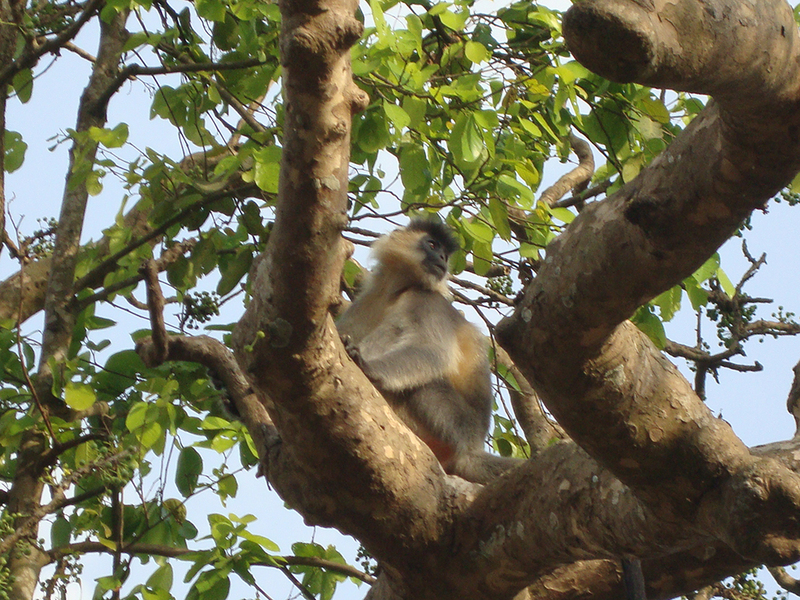 MNP was established in 1982 following the Wildlife Act of 1974 and was declared a National Park (NP) in 1982. It covers an area of 8436 ha. 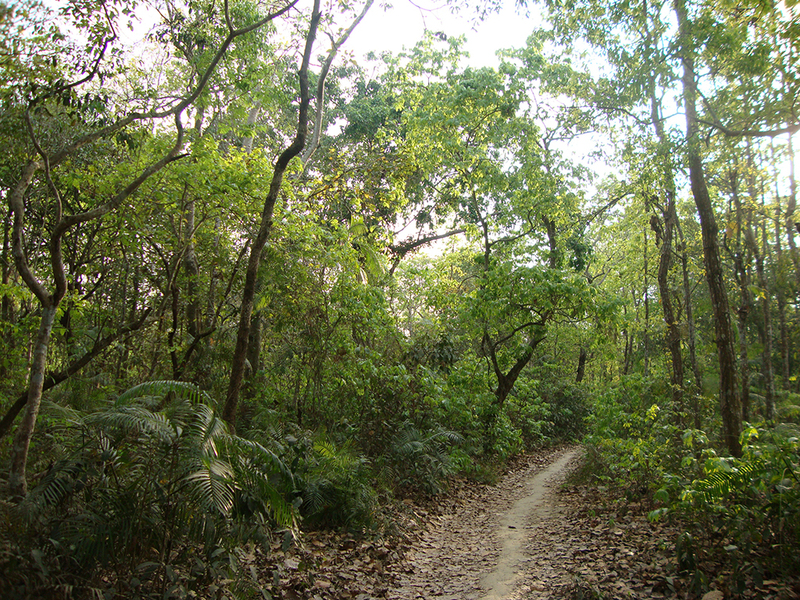 The Bongshai River that flows through MNP on the southern side of the forest is a part of the old Brahmaputra channel. The area also includes connecting canals, streams, and rivers and is intensively fished with a variety of fishing-gear. 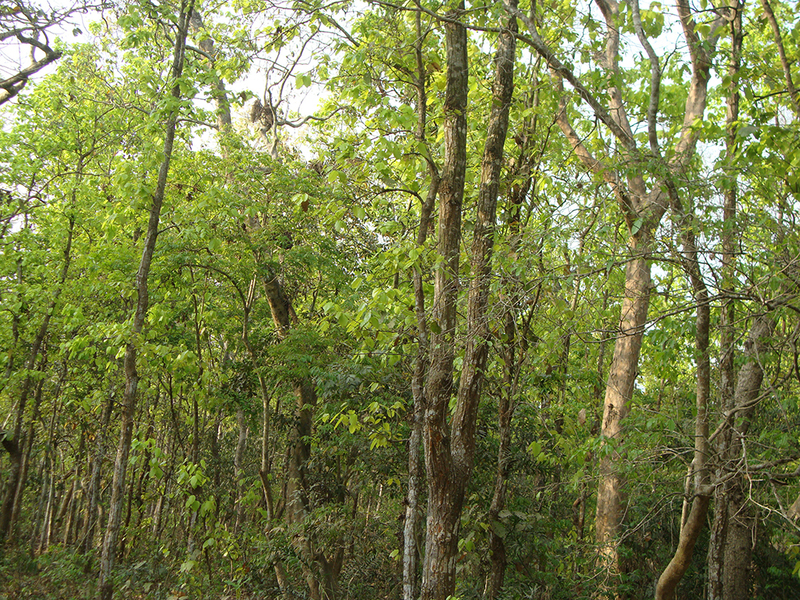 The Garo, Koch and Barman communities live in the surrounding area of MNP, comprising a total of 187 villages, with varied degrees of dependency upon the forest. Where communities like the Koch in particular worship nature, the Garo have a deep set belief in the healing powers of local herbs. 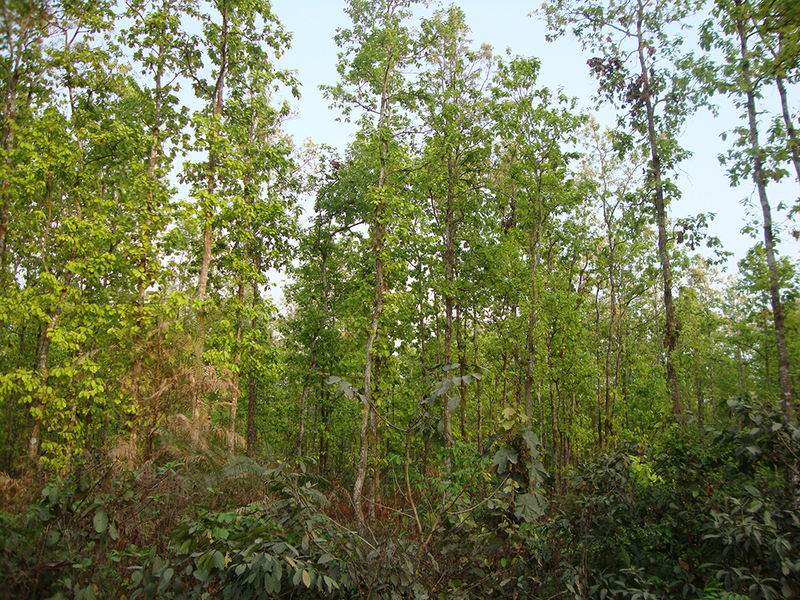 Fostering this age old tradition of dependency upon the forest has helped these communities develop an inherent understanding of the need for sustainable use of MNP and its resources. 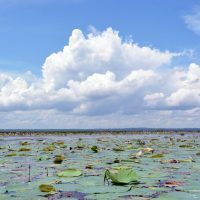 Their growing levels of awareness form the backbone of conservation activities. 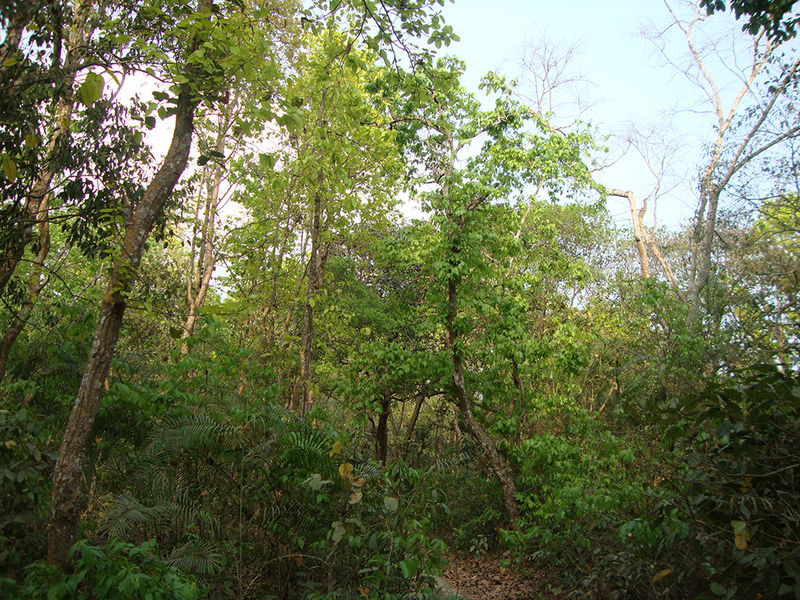 The Park is deciduous with a slight mixture of evergreen forest, interspersed with hillocks. 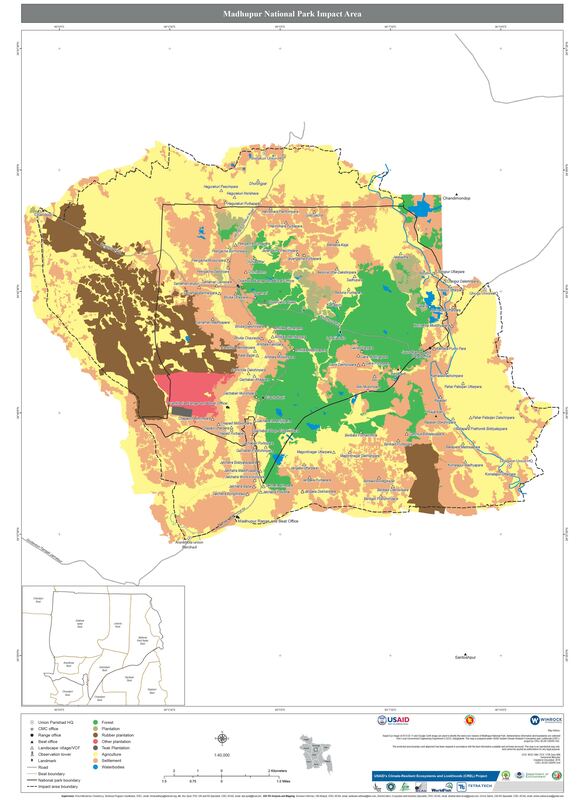 Topographically the landscape comprises mainly of plain lands and forest patches, which was once a largely dense forest area. 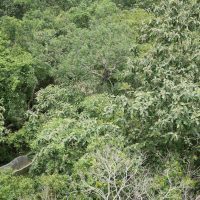 Now the land masses surrounding the site and a few patches within the forest are also intensively cropped. 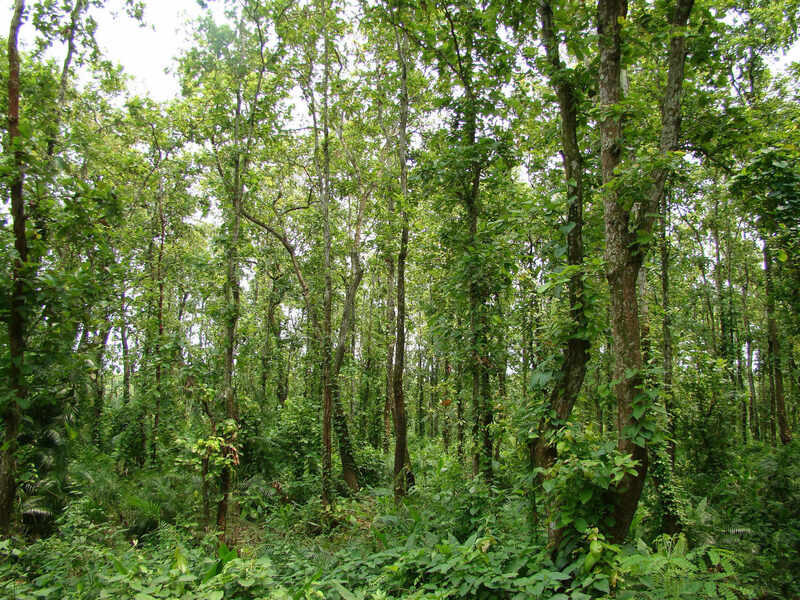 4 Rubber plantations also surround the site, collectively containing a total of 7,314 acres of land with an estimated 1462,800 Rubber trees. 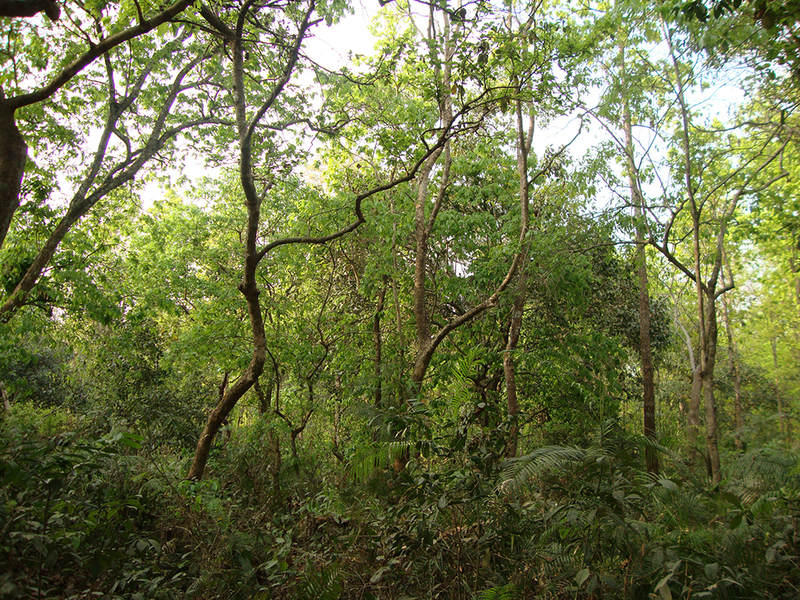 The main plant species of the Park is Shal Shorea robusta. 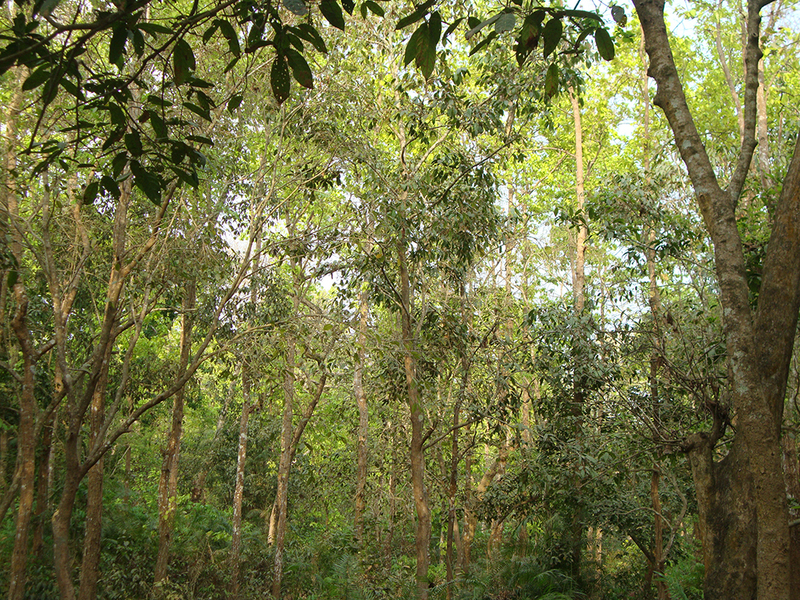 The total number of identified plant species in MNP is 176. 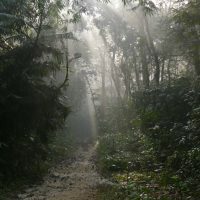 Identified fauna species include 4 amphibians, 7 reptiles, 11 mammals like the Barking Deer Muntiacus muntjak, and 38 bird species including the Stork-Billed Kingfisher Pelargopsis capensis, Zitting Cisticola Cisticola juncidis and Brown Wood Owl Strix leptogrammica amongst them. The major challenges faced by the Park area include encroachment by the locals for agricultural purposes and extraction of natural resources. 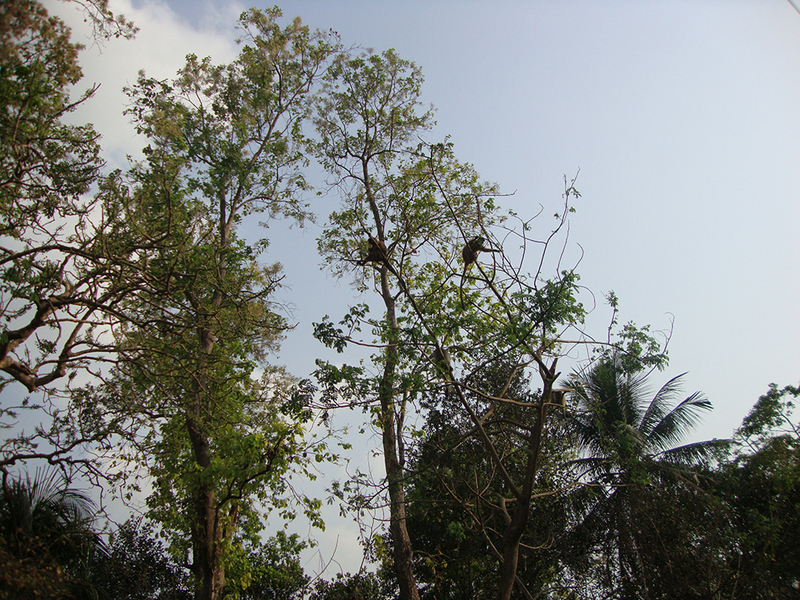 Fuel wood, herbs and timber for commercial use are also extracted in a non-sustainable manner while the locals cultivate the lands in the environs of the Park area for pineapple, jackfruit and other commercially viable fruits. Providing proper alternative livelihood options to reduce local poverty and levels of unemployment can help reduce dependency of the locals upon the forest resources or minimizing it to bring it to a sustainable level. • Formation and re-election of a co-management platform including Co-Management Council and Committee; Village Conservation Forums (VCFs); and a Peoples’ Forum (PF). • Establishment of 4 Community Patrol Groups (CPGs), including one Women’s CPG, engaged in regular Joint Patrols with Forest Department field staff. • Development of eco-tourism support for MNP, including training a cadre of eco-guides from local communities as well as the establishment of 2 eco-cottages near the Park. • Entrance Fee Revenue collection and sharing mechanism in place, ensuring 50% of tourism fees accrue to the CMC. • Demonstration of community forestry activities based on revised Social Forestry rules 2010, contributing to reforestation of the MNP landscape and revenue sharing upon harvest of fast rotation tree crops planted near the Park. • Alternative Livelihoods Development training and support for MNP-dependent communities, including sustainable value chain support and MoUs between local communities and national buyers in both fisheries and handicrafts. • Potential alternate livelihood improvement programs include plantation nursery, woven products, traditional bamboo and cane handicrafts; harvesting of Sal leaves from the core part of the forest are used as cover for the ginger and turmeric plantations. Moreover products like pineapples are harvested in the buffer zone. • The promotion of the crafting skills exhibited by the locals regarding cane and bamboo products, where the group is referred to as the “Baash-Bait group”. These craftsmen/women got the opportunity to further hone their skills with the presence of the retail chain Hatil Lifestyle, which links these products to international markets. The proceeds of any sale come directly to the local communities and provide them with further encouragement to pursue this alternative income opportunity. 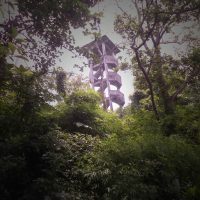 • Training the local youth as Eco-Tour guides to accompany the tourists on the marked trails. • Community Forest Workers through the Govt. initiative of a re-vegetation program act as CPG and will become part of IPAC after June 2012 when the Govt. project ends. • Strengthening and capacity building of FD, along with local authorities engaged in forest management. • Providing adequate staff for the local FD offices. • Intensifying co-management issues and PA strategies with importance and advocacy given to the concerned ministry and departments to increase efficiency. • Introduction of capacity building on forest management and community development program required for the local FD and related GoB staff. • 17 VCFs have been arranged to particularly increase consciousness and promote preservation focused actions. • 5 NS have been trained to execute conventions and administering co-management activities.